She might be the first in a new set of Stitchettes. Not sure yet, letting her sink in. I want a Mistress Mary Quite Contrary to go with her! So cute! I have a granddaughter, Mary, and we do have lambs too. She’s really cute! Love how you’ve done her hair! She is adorable. I like that the stitching is monochrome. What a wonderful little girl!!! 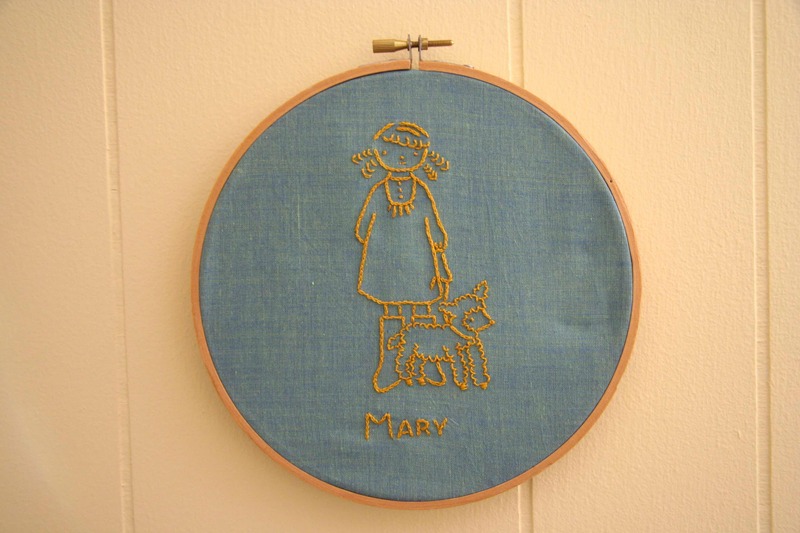 An embrodery in a single color… Yellow is not an easy color, but it turned out perfect. What were the stiched you used, Hilary? It seams there is chain stich but not the basic one, right? What was the stich you used for the little lamb? This is really lovely. I’d totally buy one.